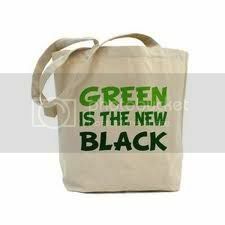 Propaganda: Who Made Green the ‘New Black’? I don’t know about you, but when I hear the word ‘Propaganda,’ Nazi posters, deceptive slogans, and rumors spreading like wildfire are the images that have always popped into my mind. Not so, according to the Father of Public Relations, Edward Bernays. Recently, for one of my classes, I read his aptly named 1928 book, Propaganda, and it made me realize that propaganda can actually serve a really positive purpose. According to Bernays, propaganda is one of those things that “is neither good nor bad but custom makes them so.” It is essentially an effort that is methodically aimed at creating or increasing public support of a given action or activity. By extension, Bernays emphasizes that when people believe that they have discovered a valuable truth, it is their responsibility to spread the word about that truth on a large scale, so that the masses can get the message. In other words, he was saying that propaganda is only bad when it consists of lies and deceit. Bernays’ explanation of propaganda got me thinking about the surge in environmental consciousness here in America in recent years, and I started wondering if propaganda played a role in making the large-scale modern environmental movement a reality. Growing up in rural Kentucky in the 1980’s and ‘90’s, recycling was virtually nonexistent – except at my house, that is. From our organic vegetable/ herb garden the assigned bins for each type of waste (compost, paper, plastic, aluminum, tin, etc.) my mom was vigilant and tireless about environmental stewardship. As a child, most of my friends that came over to our house had never even heard of recycling, which is really no surprise, since the closest recycling center was 20 miles away! Today, who doesn’t recycle? According to a 2008 report by the EPA, in 1970, only 6.6% of generated waste was recycled – a number that increased to a whopping 33.2% as of 2008….and is still on the rise. Fifteen years ago, who had heard about recycled holiday cards, organic clothing, or carbon footprints? Now iPhones have countless applications enabling consumers to tailor their lifestyles to purchasing green products, shopping at organic stores, and even finding the “greenest” of recycled products. 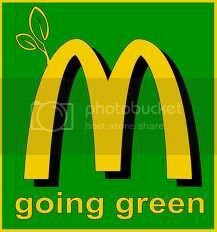 Companies are constantly vying to be viewed as “greener” than their competitors. 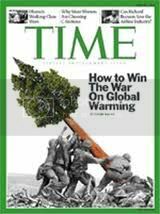 Environmental laws and regulations are constantly being proposed, changed, and rearranged. And it’s everywhere – even my formerly “non-green” home town of 16,000 people now has a thriving recycling complex that is open 24 hours a day, 7 days a week and many workplaces have individual recycling bins at each person’s desk, right beside the trash can. So…how did we get the message? Some say the original wake-up call here in the USA came with the propaganda surrounding Cleveland’s Cuyahoga River, so burdened with industrial waste that it ignited and burned in June of 1969. Some credit Senator Gaylord Nelson, who launched the first Earth Day in May of 1970, modeling his agenda on the wildly effective Vietnam “teach in” protests of the time. After the 1970’s, however, the USA experienced a slump in environmental consciousness that has been reawakened with a completely new face in recent years with concerns about global warming, potential energy crises, and a desire for the preservation and reclamation of green space in a society dominated by urban sprawl. Celebrities promote it, legislators debate it, and it is in style to live it. It looks like the environmental movement is here to stay. After all, it has become our way of life. Is corporate accountability important when it comes to the environment? Absolutely. Do individuals have a responsibility to recycle? Certainly. Did we think up the idea of being “green” all by ourselves? Probably not…but who says that’s necessarily a bad thing?